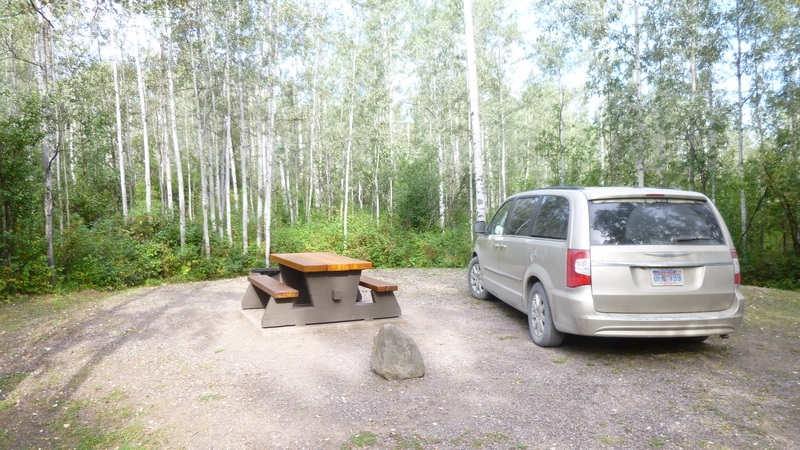 Tula and I took a walk around the pretty campground to stretch our legs before a long day in the car. I figured I would be crossing into Washington late today, but I figured wrong! 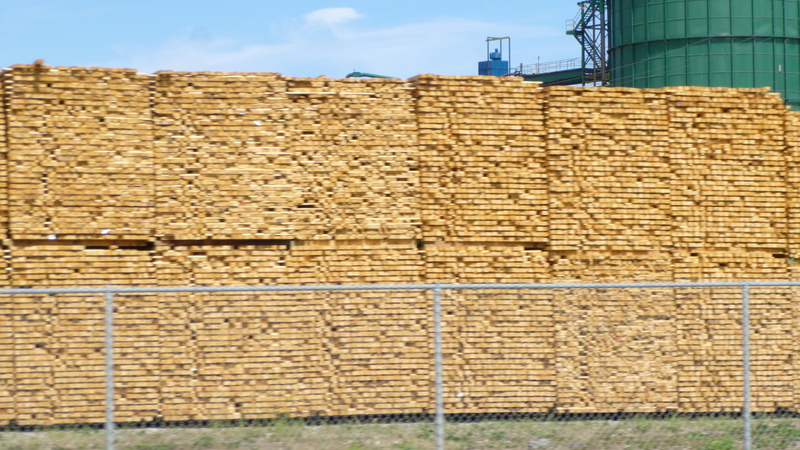 British Columbia is huge, and I still had hundreds of miles to go – both east and south. On the signs, the distance to various cities is always in kilometers, but sometimes I would do a double-take when I saw how many “miles” there were between towns, and then I would realize it was only about 2/3 of what was posted. All the speed limit signs are in kilometers too, but luckily the speedometer shows both miles and kilometers per mile. After a while I came to the town of Vanderhoof, a little west of Prince George, and it’s the geographical center of British Columbia. That’s when I figured I might not make it into Washington. But, I also made kind of a long stop for some computer work at a Tim Horton’s – their free wi-fi was kind of slow, but I always feel a little better after catching up just a little. For a while the Coast Mountains were still visible in the west – they’re as ruggedly beautiful as the Rockies. 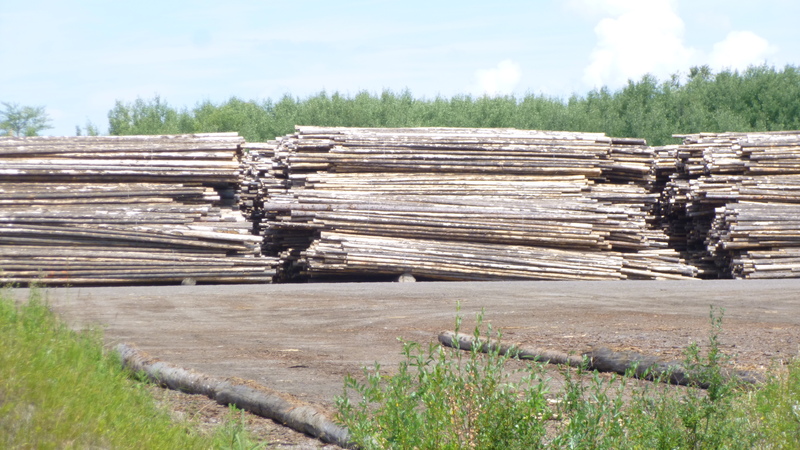 Then I came into logging country, and saw pile after pile of cut trees, and then stacks and stacks of lumber. 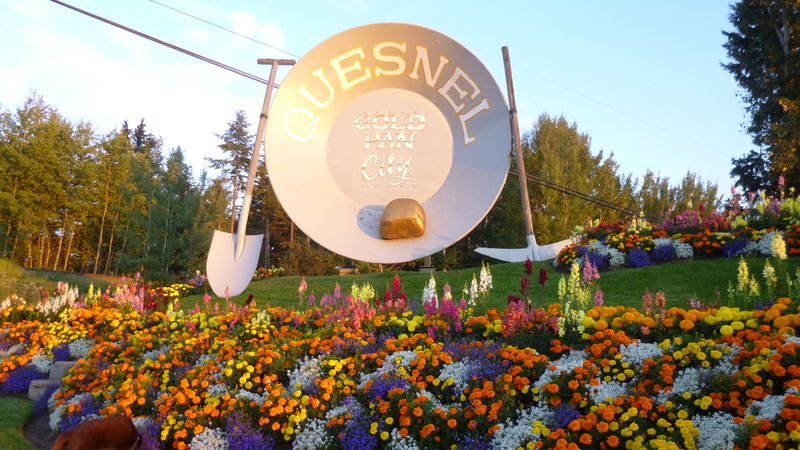 I covered a couple hundred miles, and came to the town of Quesnel, an old gold mining town. After more driving, I began to see signs for towns with names like 150 Mile House, 108 Mile House, 100 Mile House etc. I thought those were kind of strange names for towns to have, but later in the evening when I pulled into a historical marker pullout, I read about the houses. Back in the gold rush days, thousands of prospectors made their way north to seek their fortunes. Many were on foot, and some were pushing wheelbarrows with their belongings. Houses were built for shelter every 10-20 miles along the way, and the names of some of those stopping places stuck. I figured if the historical site I was on was good enough for gold prospectors back in the day, it was good enough for me to stop for the night, so that’s what I did. But, since it was a pull-off (a big one though), I didn’t set up the usual sleeping arrangements, and decided to just sleep in the reclined seat, which worked well enough with all the pillows. I did have a bit of a fright though – it was dark and I was walking Tula just a bit when I suddenly heard a loud snort nearby. After being in bear country for so long, my immediate thought was that I had startled some sort of wild animal, so I practically shoved Tula back into the car and jumped in myself while slamming the door, and was going to leave immediately with my racing heart. As I turned the van around, I shone the headlights into the land adjacent to the pull-off, and saw a couple horses in a pasture about 20 feet down a hill. They had no doubt seen me and Tula and were coming over to investigate – I think that’s the first time I’ve ever been frightened by a horse! With a sigh of relief, I decided to stay after all, and no wild animals came after us!